Most teenagers are too young to vote and are off the radar of political scientists. Teenage Citizens looks beyond the electoral game to consider the question of how this overlooked segment of our citizenry understands political topics. Bridging psychology and political science, Constance Flanagan argues that civic identities form during adolescence and are rooted in teens’ everyday lives—in their experiences as members of schools and community-based organizations and in their exercise of voice, collective action, and responsibility in those settings. This is the phase of life when political ideas are born. Through voices from a wide range of social classes and ethnic backgrounds in the United States and five other countries, we learn how teenagers form ideas about democracy, inequality, laws, ethnic identity, the social contract, and the ties that bind members of a polity together. 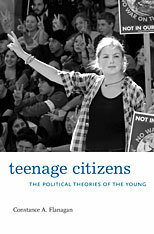 Flanagan’s twenty-five years of research show how teens’ personal and family values accord with their political views. When their families emphasize social responsibility—for people in need and for the common good—and perform service to the community, teens’ ideas about democracy and the social contract highlight principles of tolerance, social inclusion, and equality. When families discount social responsibility relative to other values, teens’ ideas about democracy focus on their rights as individuals. 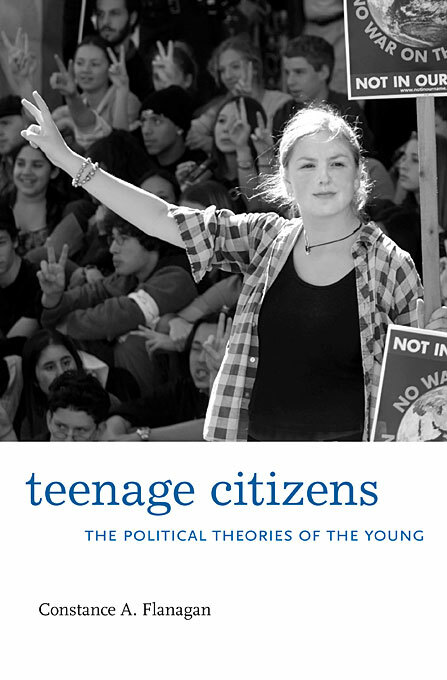 At a time when opportunities for youth are shrinking, Constance Flanagan helps us understand how young people come to envisage the world of politics and civic engagement, and how their own political identities take form.